Our Square Enix Collective campaign has just begun and we need your support! 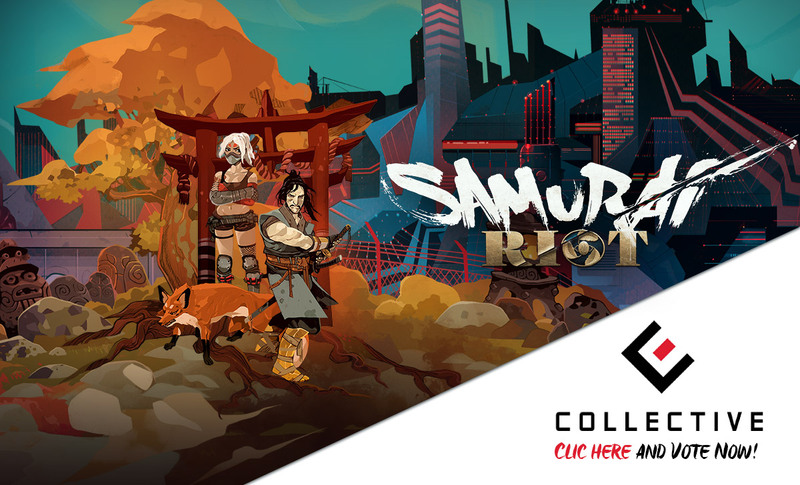 The idea behind this campaign is to ask you a simple question: would you support Samurai Riot when it goes live on Kickstarter? Thanks to your feedback and vote, we may even be able to get Square Enix support! We’re counting on each one of you to come and vote now! For the past weeks we’ve been concocting relentlessly and with discretion a panoply of exclusive content as part of a very special, yet exciting event for the whole team, which we hope will be special for you too! In four days, you will finally discover more about Samurai Riot. In the time being, have a look at BD#9 and please stay tuned, as this is only the beginning! In a few days, you will finally get to know more about Samurai Riot gameplay (but don’t says a word yet, this is a surprise!). In the meantime and as of today, we are very excited to introduce to you a new combo attack specifically developped for Sukane! Sukane owns numerous string of attacks and standalone attacks that include powerful kicking and smashing combos. Here is a string of smashing attacks targeted with precision on this poor helpless Lancer!